There are several reasons why Google would deindex your site. These are discussed below along with remedial action. Getting your entire site deindexed can be very harrowing, although it is only for certain breaches that Google will deindex your entire domain rather than specific non-conforming pages. Naturally, you want to remedy the situation immediately, but this is usually not possible. Prevention is much easier than cure in such situations, and it is important to understand why Google finds it necessary to take this step. A remedy may take a minimum of one week to over a month, and even then it may take a long time for you to recover your previous ranking. There is also a big difference between a site being reindexed and individual pages and posts reappearing in the rankings. The first step is to try to find the reason for it. Google won’t tell you. Always remember that Google’s primary objective is to provide a good search experience to its users. It does not want people finding the same duplicate content on its results pages, and it does not want to list pages with poor content that is filled with adverts, spammy links and poorly written text that is barely readable. You must find yourself where you are failing. This is a simple error that some people do make, believe it or not. Whether you run a blog or a regular website, you have a means of asking Google not to index a page or even the entire site. 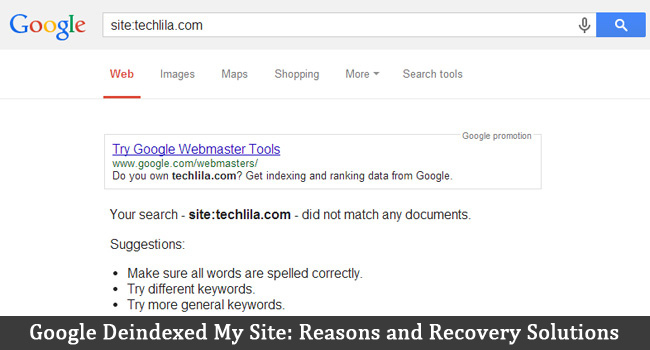 If you have accidentally requested Google not to index your site, then it won’t. If you have been carrying out maintenance or checking up on some settings, you might have clicked the wrong thing. Solution: For blogs, check your Privacy settings (In WordPress Dashboard -> Reading Settings). Make sure you have clicked to allow Google to index the site or the page. Check that you have not used the ‘noindex’ parameter either in your robots.txt files in the root directory, in the individual web file directories or in your Meta data (in the Head section of your page HTML). You forgot to make your domain name payment. Your site naturally disappears and may be completely deindexed if you fail to make your payment quickly enough. Solution: Check that your domain name has not expired by simply accessing your site. Keep an eye on its expiry date, and renew it before then. Even better is to login to your domain name provider and click on ‘Auto renew’ or similar. This it will automatically renew your domain payment when the time comes – if you have money in your account! You may have to wait to appear again in the rankings, but your site should be indexed again fairly rapidly. Most servers are pretty reliable, but it might be that your web host’s servers have crashed and have not been restored before Googlebot’s next visit. It is feasible that this can lead to your domain being delisted or even deindexed altogether. Solution: If you find you have been deindexed, check with your web host. Have there been any crashes recently. If not, your site should reindexed at the next visit and appear in the listings during the next ranking change. It may take time to recover your original ranking. Many people have lots of outgoing links on their site that they have never checked for a long time. These might be adverts or links to sites with similar content as your own. Through time, many such sites can disappear. Too many of these links that lead nowhere can result in Google punishing your entire domain by delisting it. Solution: Use Google Webmaster Tools or a free link checker to check your links. You will find a good free link checker here: http://www.drlinkcheck.com which lists all links on your site and highlights those that no longer work. Run this monthly to make sure your links are still live. If you generate too many links from your site out to other web pages in a short period of time, Google may deindex it. Google might regard this as evidence of you being involved in link-sharing or buying links. The search engines frown on such activity. You might also have been hacked by somebody who has hidden their links on your site. 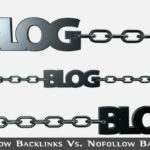 Solution: Build your outgoing links slowly, in the same way as incoming backlinks should be added. Never use linking software or purchase links! Google will hit you hard if it detects this. What Google is looking for are natural backlinks created by people impressed by your content, and wanting to let their own visitors see it. This actually gives them more ranking points, because it is a positive service to their visitors. Artificial links can be deadly to you. In addition to generating too many links at once, Google may also delist you for using ‘hidden links’. Hidden links are the same color as the page (e.g. white text on white background/black on black). If you use this black hat technique then expect your ranking to disappear overnight once Google detects it. Hackers may add these links to your web pages without you knowing. It gives them free affiliate links without the risk in Section 8 below. Solution: Check your source code occasionally to detect any links that shouldn’t be there. Anything beginning with ‘http’ will indicate an outgoing link, so simply carry out a search for that in a text editor and check the HTML color formatting of the text. Also, make sure it’s your link! Some sites start off well, and then the webmasters get lazy. They resort to software-generated content, which is almost always detectable, and also get lax with spelling and grammar. Contrary to popular opinion, Google will punish bad spelling and grammar, particularly if it occurs site-wide. Solution: Check your spelling and grammar. Homonyms can be a problem for some people, such as correct use of ‘to’ and ‘too’, or similar terms such as ‘lose’ and ‘loose’. Get somebody to proofread or even write your content if English is not your native language. Google’s ethos is that its users should find useful information. You might believe that pages filled with affiliate links for commercial products are providing good information, but Google disagrees with you. Hence your website being delisted! Solution: Provide good information about each product. State the problems it is designed to solve and how it is achieved. Then provide the affiliate link. Links to several products that solve the same problem per page is fine. Some people decide to build lots of new pages based on a template, where the only change in content is the keyword. For example: “Our extended range of [keyword] equipment offers. . . ” and “Our extended range of [keyword] equipment offers… ” where there is no change except the keyword. Start doing this on a well-ranked website or blog, and you will soon find it missing from the rankings. The same is true if you start to copy pages from other websites. Also, make sure that any duplication in your website is controlled using the ‘noindex’ attribute on duplicate pages, or the canonical attribute, whichever is the more appropriate. Google Webmaster Tools explains both. Remedy: Don’t do it! Write all your own content, or employ somebody to do it for you. It is false that content and article scraping and spinning software is OK to use. This is just another form of duplicate content. There are several such software packages currently being sold online. In spite of promises made to you, it is likely to get you delisted if you use it extensively. That is one of the tasks set for the Panda upgrade and its subsequent revisions. Solution: If you have been using content scrapers or spinners then either delete all pages containing it, or rewrite the content in your own words. Google will not punish isolated instances of such issues, though individual pages might be dropped, but it might deindex your entire domain if they are site-wide and repeated over a period of time. Doorway pages offer one page to search engines, but when the link is clicked, visitors will see another page. Often known ‘cloaking’ and also as ‘Smart Pages’ in the past, you would create a number of small pages, either manually or using software, that meet Google’s indexing criteria. When visitors click on a listing, they will be redirected to the home page of another website – or of the same site. Google insists that the content you show to Google must also be that shown to users and vice versa. Solution: Don’t use cloaking or doorway and ‘smart’ pages – in fact don’t try to play Google in any way at all. As everybody should know by now, Google frequently updates aspects of its search, indexing and ranking algorithms. 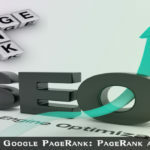 In fact, Google applies a number of algorithms to index and rank your website. Recent updates have been Panda, Penguin 1 and 2 and the Page Layout algorithm – each with updated versions. The Page Layout algorithm update punished those web pages with poor content above the fold (initial visible part of the screen). Pages with predominantly adverts and graphics above the fold were dropped in rankings. Solution: If your website has been deindexed then check if this coincides with the introduction of any algorithm update. If so, then learn all you can about the requirement of that update and modify your website or blog to conform to its needs. 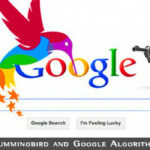 You can find more information on Google Updates in our post on Google Hummingbird and Google Algorithm Updates. First, there may be no single cure. If you get an unnatural link warning from Google, then act on it. If you cannot remove a backlink by requesting it, then use the Disavow Tool available on Google Webmaster Tools. If you are not already registered with this service then do so now – simply Google the term and follow instructions. Check each of the obvious reasons (1-3) and check that all your links are working. If everything is okay there, then follow the above tips in order. Review your entire site, starting with the Title and Description Meta tags, and make sure that your content is all unique. Register with a duplicate content service such as Copyscape. Do not despair! Your ranking can be recovered. Fundamentally, you must review your entire site, including your blog and focus on your SEO. You can use our blog post WordPress SEO: Complete Guide to SEO for WordPress Blogs. Once you believe your site is as good as you can make it, then apply to Google for reconsideration. If Google has deindexed you for a specific reason, it might not index you again without this. This is not going to be quick, and for some it might take a great deal of time and effort to recover their original ranking. If that is the case, then they have seriously breached Google’s guidelines. Avoid that happening to you by taking note of the above 12 factors, and make sure you sort them out in advance of being deindexed. If it does happen, and Google has deindexed your site, then follow the advice above. I am learning a lot of things from your blog, it’s really amazing. You are sharing your experience, it’s really awesome. Thanks bro. We have been plagued with this issue, nearly 100,000 product pages removed from Goolge index. Again these are product pages. We have been pulling our hair out trying to figure out what is causing it. It has been going on for Six+ months. There is no indication of issues in GWMT. To make things worse you can not contact anyone at Google for this reason. There is no Direct help for GWMT. There are no manual actions in effect, No HTML Errors. No Sitemap or Robot errors. Please check if your developer has added noindex tag in your website pages. Thanks Rajesh. That was the first thing we have checked. There are no “noindex” tags on any page. Since this posting, we have lost an additional 20,000 pages. We have checked every known research tool still have no known cause. Now major keyword pages are lost. There is no indication of issues in GWMT. At the same time, we have checked competitor sites and they have either maintained or increased number of indexed pages. ‘Google Index’ from left side and check out Index Status option. It will show the graph. ‘Crawl’ from left side and check out Fetch as Google option. Click on the Fetch and Render button and see if Google is able to fetch all the data. Then it will show the button Submit to index, click on tha button and choose ‘Crawl this URL and its direct links’. Submit XML sitemaps if you have not submitted earlier. If you have already done that then Resubmit all sitemaps. Option is there to resubmit the sitemaps. 2) Have you recently switched to https:// version? If yes, then make sure all http:// URLs are redirecting to https:// with 301 redirection code. Hope this helps. Let me know after doing all these things.